Remember that the Tory party was dead keen to get the Poles and other Eastern Europeans into the EU because they would be natural allies of the British, and moreover widening the EU would help to prevent deepening. The Polish people deserve better than this shambolic self serving politicians. If 1.3 millions brits landed in Warsaw took low skilled jobs and claimed benefits for children not in the country the Polish people would and could not stand for it. I dare say these Poles are on the gravy train and will do everything to become a federal state within the united states of Europe. As an island race we must decline their selfish intentions. Cameron could put the Great back into Britain. It's fairly obvious that Poland is enjoying the inward flow of money from the UK. Whether it be earnings from Poles who've come here to work or child benefit for the children they left behind. Best they don't forget UK is a £7bn net contributor to the EU coffers & when (not if) we leave, their inward investment from the EU will all but dry up! Re reading another thought occurs. Free Movement being curbed is a red line for the UK electorate. If the EU won't move on that & insists on it as part of any future agreements, they'll damage themselves more than us when we walk away! The EU, the biggest exporter of manufactured goods & services in the world, will damage itself more than the UK, if the UK walks away?! That's absurd. At least accept that there will be a negative economic to the UK - but that in the interests of socioeconomic stability and cohesiveness you are willing to take those hits. At least that stance has balance and standing. Your "Rule Britannia" stance is just childish. The Purpleline - As if politicians are not the same in other countries, the UK included, and as if this would not be apparent if their conversations were secretly recorded and published. As for this: "As an island race we must decline their selfish intentions", you sound half-mad. His "Rule Britannia" stance? You're trying to be condescending to an imagined expression of jingoism? Then you're being childish. When we leave the EU, we'll be open to do business with the whole world rather than a shrinking customs union. Brussels will lose a lot of funding and if they refuse to make a trade deal with us then they'll a bigger hit than us (in absolute numbers). Free movement being curbed might be a red line now, but that's because the press have convinced themselves and us that "immigrants" are bad but our "expats" filling up Spanish roads and hospitals are great. When the Brits start getting shipped home from Provence, or can't access pensions or health services, suddenly we'll discover that we were Europeans all along. The EU imports 50% more to the UK than the UK to the EU. The UK has the largest consumer market in Europe & the German manufacturers want unfettered access to that market. The Uk cannot form any trade agreements outside of the auspices of the EU even with its historical partners in the Commonwealth. "Rule Britannia"?? WTH? It is not in the interests o the British Taxpayer to keep pating in to be a member of a club that continually ignores our wishes and as condition of membership holds us back and stops our sovereign parliament from carrying out the wishes of the electorate! The red line has nothing to do with the press. Anybody outside of London (where I'm sure you hail from from your comment) has not/does not see/feel any benefit from EU migration. We are all struggling for housing, school places, doctors appointments and to hear English spoken when walking down the high street. We have exported 1.6m less UK citizens into the EU than they have imported into the UK from the EU. Most of those EU migrants are "unskilled" & like it or not, take less from the state than they contribute. On the other hand the UK citizens we have exported are 63% retirees, 39% Skilled workers and 0.3% unskilled (apart from being English speakers - the sole reason for their being employed) workers. The upshot is, the EU migrants coming here are economic migrants competing with the lower strata of UK society and pushing them out of the work-space into the benefits trap. Like it or not, outside of the London/SE economic power house, the world isn't as rosy as you'd like to think! How does the UK (an EU contributor nation) have anything in common with Poland (a net taker from EU coffers - with EUR10Bn due to them up until 2020). Their interests and ours are completely diametrically opposed. We fund our annual and ongoing EU contributions out of debt. Debt that our politicians have kindly loaded onto our children thereby giving them little chance for the future. QMV does not work for us to the detriment of our national interest. "Most of those EU migrants are "unskilled" & like it or not, take less from the state than they contribute". I am sorry but this is just not correct. - Just why are certain London boroughs having to build 20% more schools and build/expand other expensive infrastructure (i.e. the NHS)? It is not for the local people. Has this cost been factored in anywhere? No. - The cost of keeping locals in the "benefits trap" should also be included in any figures. - My doctor in London told me that very few immigrants are paying for their NHS prescriptions. I suspect that this is a larger problem than we think as there are no checks or follow up on those that don't pay them. I just want out. The EU is full of corrupt basket case nations on the take and a political class that is not capable of sorting out the problems. The UK is going to continue to carry the cost and risk of the EU's incompetence as more and more people immigrate here and the EU stops us from acting to protect our interests. * Even countries like Poland who agree with the UK on may EU matters would not agree to themajor changes that teh UK public are demanding such as an end to ever closer union, control of borders, less red tape, etc. So far as I can see the only only person who thinks any changes worth talking about can be negotiated before a UK in-out referendum is Dave. 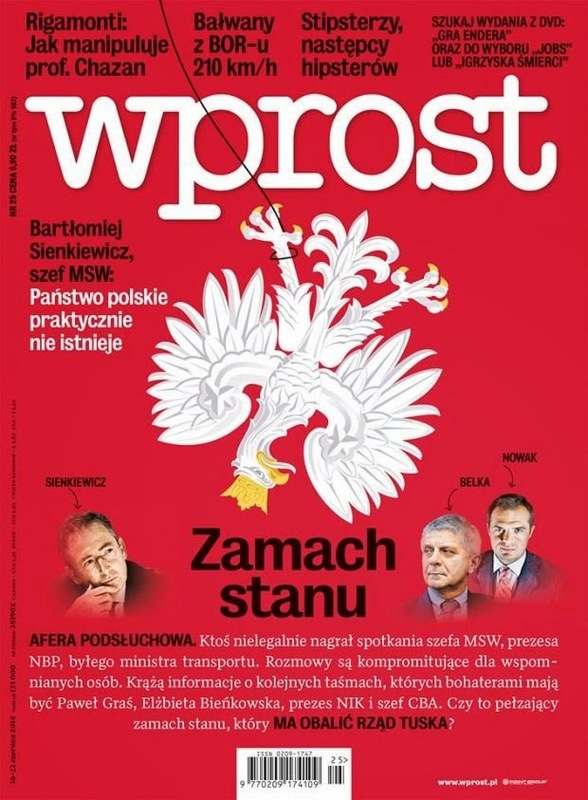 * Polish politicians are like other people's politicians in that they say one thing in public and another in private, often using more colourful language than their PR people would like. * The Poles like the status quo with the UK concerning immigration and benefits; well duhhh. * The writing is on teh wall that the UK will leave the EU. Indeed. Hoorah and whoop-de-do! The only surprise is that they seem to think that the UK will be obliged to retain open borders with the EU when they leave. No guys; wise up. Border control is one of the main reasons the UK people want out. These guys seem to have a mindset that is perhaps understandably Euro centred whereas the UK is more globally minded. There is a big wide world out there beyond the borders of the EU and the latter is getting less important to the UK every day. Immigration has been a good thing for the UK historically. HOWEVER - we have just escaped the biggest depression that the world has ever seen. Local people are struggling to make a living and we are entertaining unlimited EU immigration and have ability to pick and chose the skills that we need. The timing and numbers of those arriving is NOT in our national interest. Add to that the fact that the MananaZone crisis has been going on since 2008 and the EU's "leaders" still have no coherent policy as to who how to deal with it. They will force the UK to carry on as is by forcing us to contribute to the out-of-control EU budget and not limit immigration. The cost and risk is being passed to the UK - and we fund all of this out of DEBT. EU : unaccountable, undemocratic, dysfunctional, incompetent and not working. Free trade and friendship. No sovereignty. So mr Sikorski is now out of the race for the position as high representative? Who'll benefit from this? Persons and/or organisations? And who are they as in "they've f***** up Eastern Europe and a few other things"? So the Poles want a "…mountain of gold" . Cameron is right. Countries like Poland are in the EU for the money but it seems they still want Britain to defend them against the Russians! I really hope now that the UK does leave the EU. It is corrupt, cynical and anti-democratic. The Poles will have to get someone else to bail them out in future. At the end of the day Poland benefits massively from the UK being an EU member. Hard to see that they want to run the chance of having >1 million people send back to Poland (with no jobs for them) plus a considerable cut in received subsidies (the rest is not making up for a shortfall caused by a Brexit). Might be considered by Cameron reversal of free labour only to highly qualified workers (as part of a potential alternative exit scenario). As said hard to see Poland taking that risk, safe bet to call their bluff on that one imho. Hard to see that anybody else than the Russians have been doing this. Especially seen the combination. Looks a good idication that countries like Poland (that actively supported even trained Europe's favourite Neo-Nazis) like the US have come on the pay back lists. Would be beyond moronic to have the Polish FS as EU foreign relations chief (different from the countess but the mess created will not be smaller only different). Same as with EU energy policy. Very likely to be used to p!$$ over Putin's shoes by all sort of formr Eastblockers. Not much to win for the civilised part of Europe.